Since October is Breast Cancer Awareness month, I wanted to give a little love to three women I work with who are breast cancer survivors. The Art Philosophy cartridge has a couple cute “boxes” on it on the shift font layer for numbers 1-8. 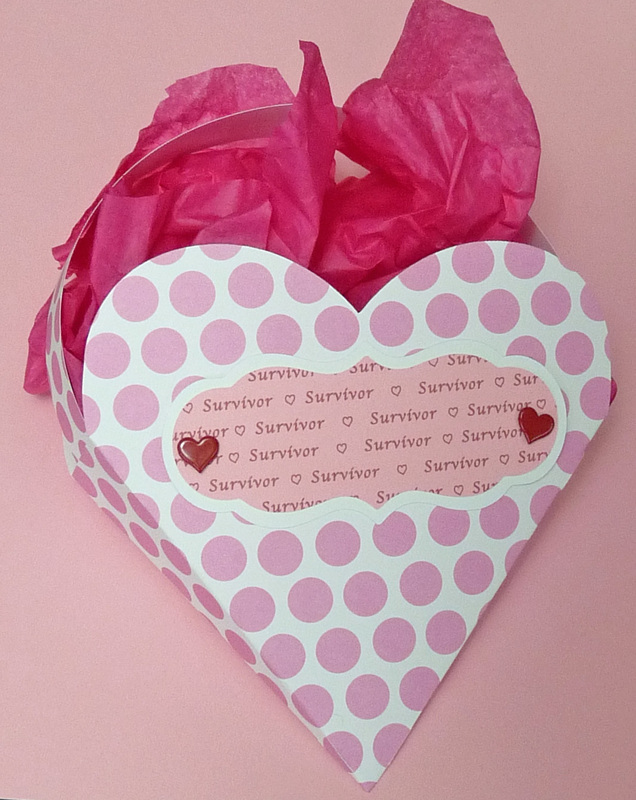 This heart box is on page 26 of the handbook, and it’s super easy to put together. There are just four score lines. I cut them out at 9 3/4 inches on my Gypsy. I cut a 1 by 12 inch strip of the same patterned paper for the handle. For the label, I used the decorative layer (shift) also found on page 26, cut at 1.5 inches. For its mat, I unchecked the little yellow “keep proportions” chain between the width and height measurements and sized it to 4.21 wide by 1.88 high. 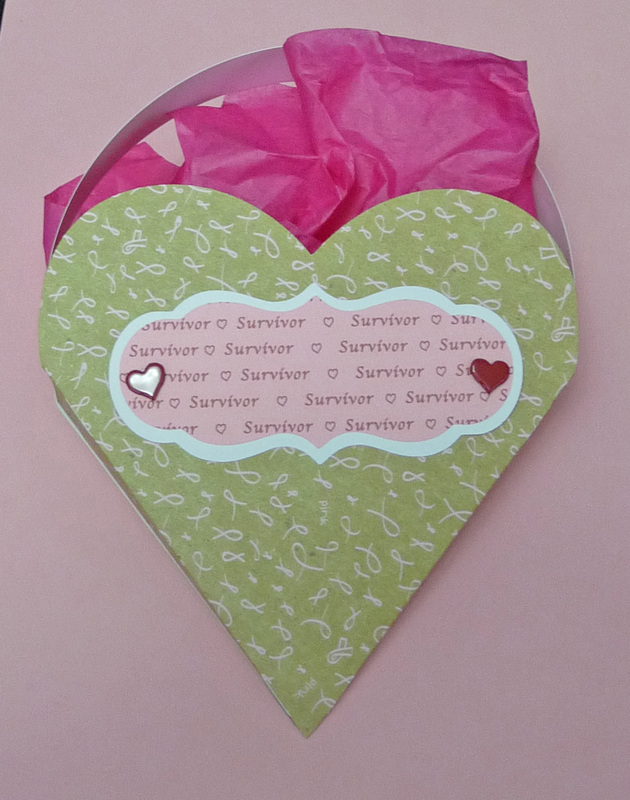 I didn’t have any pink paper that said Survivor on it, so I made my own using Microsoft Word. The font is Apple Chancery. I just typed the word over and over again, copied and pasted it to fill the page, and printed it on pink paper! The heart brads were just in my stash. Here are the other two little boxes I made. My little heart boxes hold pink Tic Tacs. They’ll hang very nicely on my co-workers doorknobs for a nice little surprise. The patterned paper is by Me and My Big Ideas, and the pink tissue paper is from Victoria’s Secret, which I think is very apropos! 🙂 I am linking this project over at Link Up for Pink. That blog promote breast cancer awareness all year long. I hope you try these heart boxes. They may make a comeback some time in February!! If you’d like to purchase the Art Philosophy cartridge or any other Close to My Heart products, just click on the Shop With Me button on the right. It’ll take you to my web site where you can look at the current catalog. They’ve got some really cute stamps and papers for Halloween and Christmas! 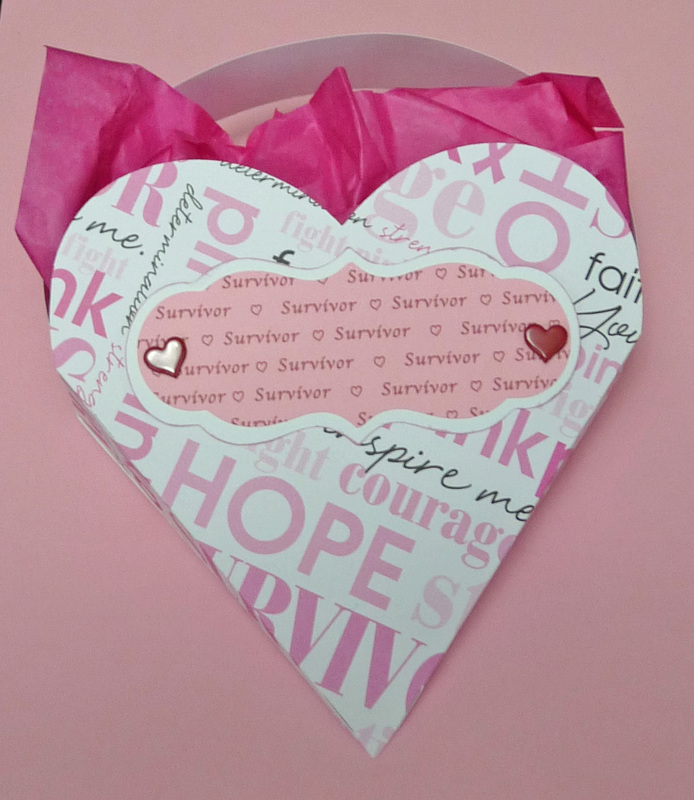 This entry was posted in Paper Crafting and tagged Art Philosophy, breast cancer awareness, gift bag, little gifts. Bookmark the permalink. Awesome goodie bags!! Wonderful project. Thanks for joining us at Link Up for Pink and good luck in the drawing. These are so pretty!! 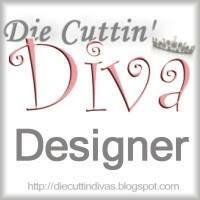 Thank you for joining Link Up for Pink, hope to see more of your projects entered.